We all want to make the right moves in life and when you’re moving from London to Birmingham, hiring Moving Service as your removal company is definitely the right move. We’re a removal firm which makes sure you have everything you need so your relocation north goes just as you planned. We have a superb range of home removal services which include storage space, packing supplies and top of the range transport options. We have helped people relocate from London to all over the UK which has resulted in us becoming established as one of the leading removals companies in the country. This is not only because of our excellent services but our very affordable prices. When many removal businesses are putting their prices up, we keep our prices low. We know that by cutting our prices and keeping them low you’ll recommend us to your friends and family. It’s a strategy which serves us well and serves you well. So why not call us on 020 8746 4402. It’s a phone call which can make such a positive difference for your house move from London to Birmingham. 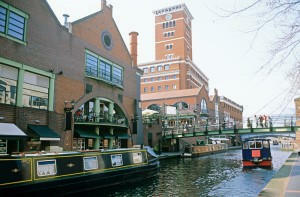 Birmingham dates back as a settlement to the Anglo-Saxon era. 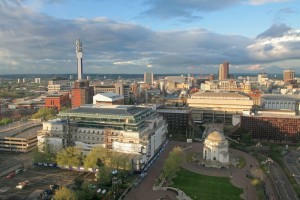 The development of Birmingham into a significant commercial as well as urban centre began as early as 1166. Today, with over one million inhabitants, it’s the second largest city in the UK after London. Its city centre has gone through some major changes in recent years, including redevelopment of the world-famous Bullring shopping centre, The Rotunda and New Street Station. With approximately 3.3 million inhabitants in its metropolitan area, Birmingham is not only a major city within the UK but now very much an international city of importance. Amongst other things Birmingham has six universities and has its own symphony orchestra. When you’re moving home to Birmingham, you just can’t take any chances on hiring a furniture carrier which hasn’t got our reputation for trust and quality. We have built that level of trust up over a number of years by continuing to give top class service and delivering on our promises. So whether you’re looking for a man with a van or if it’s a home removal or business removal you’re looking for, no other moving firm knows how to transport your items from London to Birmingham better than us. We can also supply you with boxes, cartons, bubble wrap, protective wrap…in fact all kinds of removal and packing accessories. This means you don’t have to go around searching elsewhere for everything you need. We have it all in one place. Our storage facilities are also second to none. Our safe and secure storage units can be hired long-term or short-term, whatever suits your needs. In addition, our removals staff are dedicated and renowned not only for their removals expertise but their professional manner. Throughout your time with us, you can rest assured we will make sure the build-up to your removal day as well as the actual removal day itself will be more of a pleasure than a chore. Which means if you’re wanting to make the right move when it comes to choosing a top quality removals firm then choose us as your removal carrier. If will save yourself a lot of time and money to call the furniture mover which has a choice of services and a quality of service no other removals company can match. So call Moving Service now on 020 8746 4402 and find out more reasons why hiring our furniture transport carrier is the sure-fire way to relocate to Birmingham with quality and care assured.